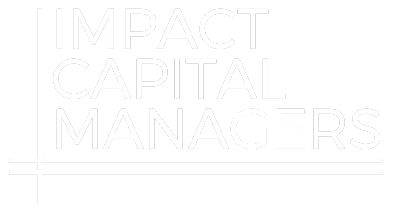 San Diego, CA (September 6, 2017) – HCAP Partners, a California-based mezzanine debt and private equity firm and recognized impact investor, today announced the recapitalization of Reno Assisted Living, LLC dba Summit Estates. Morgan Miller, Managing Partner, and Hope Mago, Principal managed HCAP Partners’ investment in Summit Estates as board observers. The recapitalization resulted in a full return of HCAP Partners’ invested capital. Post transaction, HCAP Partner’s will continue to maintain its ownership position in Summit Estates. Summit Estates is a Reno, Nevada-based 116-unit senior living community consisting of 92 assisted living and 24 memory care units that opened its doors to residents in July 2016. The community comprises a 94,911 square foot two-story building located on 6.25 acres. Summit Estates is managed by Mission Senior Living, LLC ("MSL") a Carson City, Nevada-headquartered company that specializes in assisted living and memory care senior communities. MSL has developed a reputation for providing attentive, resident-based management care with a high degree of communication and trust with the families of the residents. MSL currently manages five assisted living and memory care communities and is developing two additional communities. "We greatly appreciate HCAP and our local partners who helped us build a wonderful home for seniors. This will allow residents of Reno who have lived their entire lives here to continue to call Reno home without having to move somewhere else. It is a privilege to fulfill our mission – Caring People, Serving People, Improving Lives – every day!” said Darryl Fisher, co-founder and CEO of Mission Senior Living. Mission Senior Living was founded in 2012 to develop assisted living and memory care senior communities primarily located in secondary underserved markets across the Western US. MSL has developed a reputation for providing attentive, resident-based management care with a high degree of communication and trust with the families of the residents. MSL currently manages five assisted living and memory care communities and is developing two additional communities. HCAP Partners was founded in 2000 and is a provider of mezzanine debt and private equity for underserved, lower-middle market companies throughout California and the Western United States. The firm seeks to invest $2 million to $9 million in established businesses generating between $10 million and $75 million in revenues in the healthcare, software, services, and manufacturing industries. HCAP Partners has invested in over 60 companies since it was founded and through ongoing, active engagement with portfolio companies the team at HCAP Partners provides value-added resources to help optimize performance and increase enterprise value. The firm has been recognized as an ImpactAssets 50 fund four years running and, through its Gainful Jobs Approach, works to facilitate a positive impact on underserved businesses, their employees, and their communities through active portfolio engagement. Partners Tim Bubnack, Morgan Miller, Frank Mora along with Principals Hope Mago and Nicolas Lopez lead HCAP Partners’ investment team. For more information, please visit www.hcapllc.com or call (858) 259-7654.